In the not-so-distant future, I see a world where all the chronic diseases that plague us today will be cured before they?ve even begun. That may sound like science fiction, but it?s not. In fact, it?s already happening with a revolutionary stem-cell treatment?developed by oncologist and stem-cell pioneer Dr. Dipnarine?Maharaj right here in South Florida. And that?s why I?ve made Dr. Maharaj one of the key speakers at my upcoming?Palm Beach Anti-Aging Summit at the historic Palm Beach icon Mara-a-Lago on October 8 and 9. You?ve probably heard about stem cells on the news and wondered if they can help you or a loved one with a chronic or autoimmune disease. The answer is YES. The problem is that most doctors won?t talk about stem cells. That?s because the latest breakthrough treatments ? which have only recently become available to people who want to reverse or protect themselves from chronic disease ? are considered ?experimental.? Stem cells are the master cells from which all other human cells are made. They?re also the ultimate natural cure, because they let the body do what it does best: heal itself. 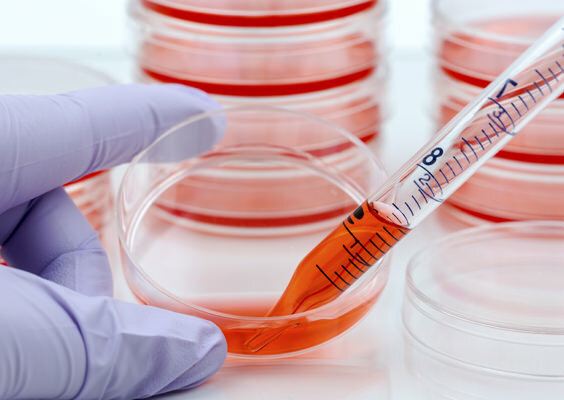 Many stem cells have the power to morph into any kind of cell in your body ? heart, brain, nerve, liver cells, you name it. That?s why scientists say that stem cells will be used someday to regenerate the damaged tissue of any organ. But stem cells in your bone marrow have a different purpose ? they are destined to become vital components of your immune system. And that?s the key to this breakthrough treatment that has already reversed various cancers, diabetes, and a number of autoimmune disorders. It?s based on the answer to a simple but important question: Why do some people get chronic diseases and others don?t? Because when chronic disease strikes, it means your immune system has broken down. And only adult stem cells in your bone marrow can make NK cells. At the first sign of trouble, your NK cells flood into your blood stream to infiltrate tumors and infections, and attack them. It?s all about bulking up your immune system. Take cancer, for example. Cancer isn?t the mysterious illness your doctor and the rest of the medical establishment want you to believe. Like other chronic diseases, cancer is your body?s natural reaction to the?inflammation caused by the toxic, modern environment around you. That?s why cancer cells are constantly forming inside you; we live in a toxic world. But if your immune system is strong, it will swat those cancer cells like flies, along with every other disease going. The problem is that inflammation destroys your immune system. In fact, your immune system has been under attack from inflammation-causing irritants for years and you?ve been unaware of it, because it?s been happening at the cellular level. But there is one irritant that is worse than all of the above? But here?s good news: The solution to repairing your broken immune system is found in the stem cells of your own bone marrow ? no matter what your age or your state of health. This breakthrough therapy works by tapping the stem cells you already have in your own body, then freezing and storing them so you can use them against diseases you may get in the future. Storing your stem cells is perhaps also the ultimate in ?bio-insurance.? But even if you already have a chronic disease, your immune system stem cells can still be ?activated? with a special protein to produce more NK cells. This new field of medicine is exciting and echoes what I?ve been telling my patients for years: keep your immune system strong. It?s your best ally against disease ? even cancer. Watch your diet. Our modern diet has replaced nutritious, healthy protein and fats with ?empty? calories like grains and starchy carbohydrates. Switch to a diet rich in antioxidants and vitamins to boost your immune system and your ability to fight off infections. You should also avoid high fructose corn syrup, which causes inflammation. Get plenty of sleep. Your stem cells and immune system need sleep. This is when your body?s maintenance work takes place. When you?re deprived of sleep, your immune system suffers and your body becomes vulnerable. Cut your stress. Stress creates a hormone called cortisol. A little cortisol can help you. But a steady stream of it is toxic to your immune system. You should clear the stress from your mind and your body for at least 10 minutes every day. Mediation or yoga can be great stress busters. And so is?exercise. Take cat?s claw. There are a number of immune-system boosting herbs you can take, and one of my favorites is cat?s claw. This herb stimulates T-cells to boost the immune system and fight infection. You can find it in health food stores. Look for a supplement made from the inner bark of the plant and take 500 mg. per day. This information has been provided by Al Sears, MD and Doctor?s House Call. For more information or to sign up for a free subscription, visit alsearsmd.com. 1. P Sansoni, A Cossarizza, V Brianti, F Fagnoni, G Snelli, D Monti, A Marcato, G Passeri, C Ortolani, and E Forti. 2. ?Lymphocyte subsets and natural killer cell activity in healthy old people and centenarians.? Blood. 1993 Nov 1;82(9):2767-73. Montelli TC, Pera?oli MT, Gabarra RC, Soares AM, Kurokawa CS. ?Familial cancer: Depressed NK-cell cytotoxicity in healthy and cancer affected members.? Arq Neuropsiquiatr. 2001 Mar; 59(1):6-10. 3. SC Segerstrom , GE Miller. ?Psychological Stress and the Human Immune System: A Meta-Analytic Study of 30 Years of Inquiry.? Psychol Bull. 2004 Jul;130(4):601-30. 5. H Wagner, B Kreutzkamp, K Jurcic. ?The alkaloids of Uncaria tomentosa and their phagocytosis-stimulating action.? Planta Med 1985;51:419?23.